Washington State Bill Would Allow Medical Marijuana Use in Schools . Rep. Brian Blake (D-Aberdeen) has filed HB 1060 , which would make it legal for students to use medical marijuana on school campuses. Under the bill, schools would be able to decide whether to allow the use. Virgin Islands Governor Signs Medical Marijuana Bill into Law . US Virgin Islands Gov. Albert Bryan Jr. signed the Medical Cannabis Patient Care Act into law Tuesday, making the territory the latest U.S. jurisdiction to adopt an effective medical marijuana law. The bill, sponsored by Sen. Positive T.A. Nelson, received final approval from the Legislature on December 28. New Jersey Assembly Committee Holds Informational Hearing on Civil Asset Forfeiture Reform . The Assembly Law and Public Safety Committee held an informational hearing on civil asset forfeiture laws in the state Thursday. The move is part of preparations for an effort to reform or end civil asset forfeiture in the state. Indiana Lawmaker Wants to Mandate High School Athlete Drug Testing Statewide . State Sen. Jean Leising has introduced a bill, SB 147 , that would mandate random drug tests for high school athletes statewide. "If you want to play on your school's athletic team, you have to be willing to take a drug test,” she said. But the Indiana High School Athletic Association doesn't think the bill is necessary. "I think our member schools are doing a pretty good job enforcing their substance abuse policies that they've already authored themselves," said association commissioner Bobby Cox. "I don't know that adding this type of an expense and mandating this on our high schools is the answer that's going to detour young people from participating in things they shouldn't be doing." 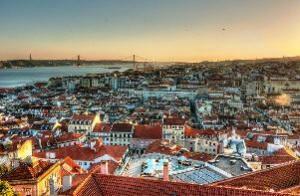 Portugal Parliament Debates Competing Marijuana Legalization Bills . Members of parliament on Thursday debated two separate bills that would legalize marijuana. One bill is sponsored by the Left Bloc, while the other is sponsored by the People-Animals-Nature (PAN) Party. Votes on the bills could come as early as today, but it's not clear that they would pass. The Socialists have said they will abstain, while the Communists, the People's Party, and the Social Democrats reportedly oppose the move.